June 24th, Ketchikan Alaska. 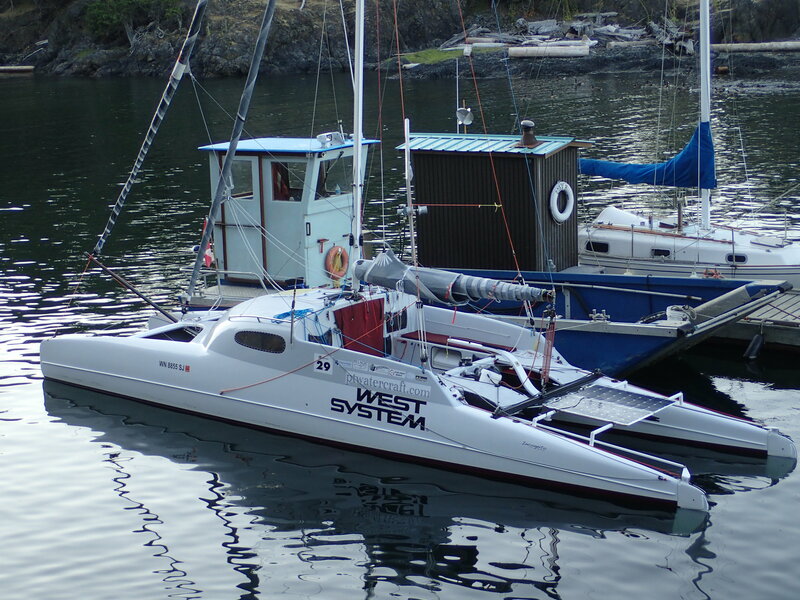 Russell’s solo R2AK successfully completed for 2017 and together we began our return voyage on our G32 catamaran. I could have written a small book about the trip which got particularly interesting for us after our brand new motor totally toasted itself. A summary article can be read HERE. 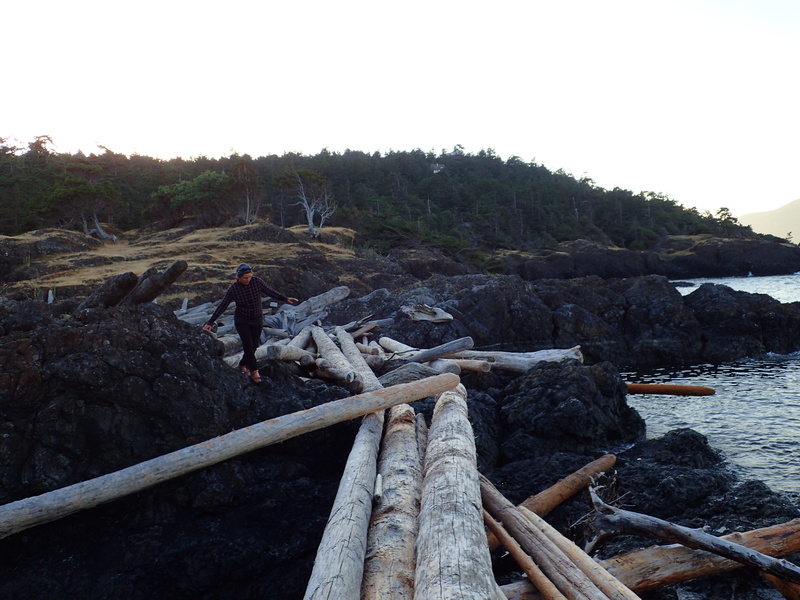 18 days later, we crossed the Straights of Juan De Fuca, and arrived into Port Townsend a little after lunch. I get excited when I see Point Wilson and the waterfront of Port Townsend, but I felt ready for home only as it came into view. I could just as easily have kept going. This trip was one of being in the moment. I was where I was at that moment, soaking up the sights, sounds, smells, atmospheric pressure, and the wonder of it all. I loved it. We loved it, and we both really needed it. Another 6 weeks have passed and I finally have a VIDEO put together just to give a sense of what cruising on the G32 looks like. I had wanted to finish the video sooner so that Meade Gougeon (who was declining only a week ago) could watch it but, sadly, he left us sooner than we expected and too soon altogether for all of us who admired and respected him. So, here is the video.. Above header photo shows best friends Jim Brown and Meade Gougeon enjoying a ride on Jzerro..
West System epoxies and the Gougeon brother’s work has had a big effect on my life. I have admired both Meade and Jan since I was 13 years old and I would say that no one but my parents have affected or influenced me more than Meade and Jan. Through them I developed good epoxy skills that gave me a livelihood, a creative outlet, and an identity. I think that in many ways Meade is best represented by the company that he founded. Doing one’s absolute best seems to be the way of operating at WEST SYSTEM Inc., no matter how much work is involved. In their case, this is true to the point of wondering just where that kind of ethic came from. I think that a good part of it came from Mead. Developing and sharing a new technology must have been exciting for the Gougeon’s, but a responsibility too. The way that Meade and his family and friends went about this task made learning the technology exciting, but it also showed a better way that went well beyond boat building and epoxy. Continually improving the products, sharing the technology, being honest about the compromises, and providing good support for people using the products is how the company has been run for almost half a century. I know of no other company that has taken this approach to such an extreme and it has influenced me greatly in both how I approach my work and how I run my business. Wood/epoxy boats have been Mead’s passion since his beginning with epoxy and it has been a passion that he passed on to so many of us, myself included. 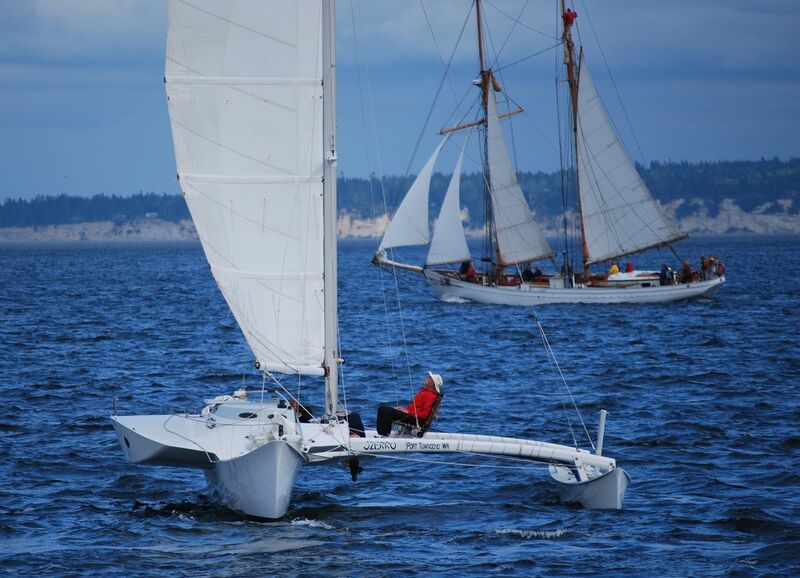 Mead’s own boat, Adagio, is a 35 foot trimaran that he designed and built in 1970. Adagio has been continually raced for 47 years and weighs just 2700 pounds ready to race. If that’s not a testament to the technology that they developed, I don’t know what is. I’ll miss Mead, even if I never knew him well. Mostly I’ll miss watching what he is going to do next. 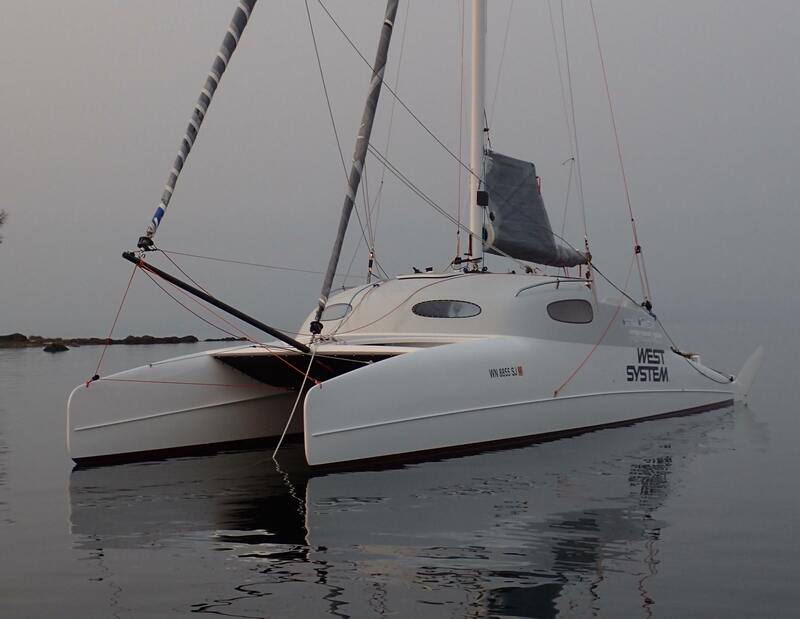 Gougeon 32 catamaran "Incognito" designed and built by the Gougeon Brothers. An article published in Sail Magazine shortly after Meade's passing.